Kochi Metro Rail Limited (KMRL) as part of its first anniversary celebrations is offering free rides to riders. Kochi: On June 19 commuters in Kochi who have yet not taken their first ride in the metro train should hitch a ride on this date. The surprise is that you won’t have to pay a penny to travel in metro on June 19. 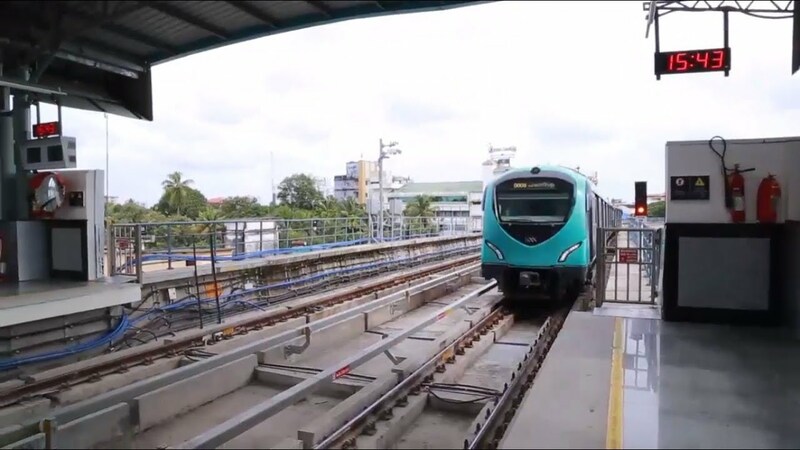 Kochi Metro Rail Limited (KMRL) as part of its first anniversary celebrations is offering free rides to riders. In fact, the officials are also waving off the issuance and annual fees for those who purchase Kochi-1-card starting from June 15 – June 30. This and lot more surprises are rolled out for passengers who use the public transport to commute. Passengers will get to boot unlimited rides on June 19. As per managing director of KMRL, A.P.M. Mohammed Hanish the entire day will be free for riders. Other incentives that will be offered include wavier of ₹75 annual fee and ₹150 on the issuance fee for those buying Kochi-1 pre-paid smart card from June 15 to June 30 he added. There is are week-long celebrations that are being planned out to celebrate the completion of one-year of Kochi Metro. The metro rail project was made operation on June 17 in 2017 and was flagged off by Prime Minister Narendra Modi. The celebrations will begin at Edappally metro station on Sunday where a huge cake will be cut in a gala function. Other attractions planned on Sunday include a magic show themed ““Time Traveller – Magic Metro” by noted magician Gopinath Muthukad. The show will be staged at Edappally station. Other cultural events are going to be hosted at Maharaja’s College Ground and Aluva stations as well. Commuters travelling from June 15 to 18 will get a chance to participate in lucky draw. Eco-friendly activities are also part of the celebrations. All the 500 employees of KMRL employed at the Muttom coach maintenance yard plant will be planting trees at their factory premises. Each tree will be named after the employee and the workforce will be encouraged to look after them. Vacant spots at the yard will be utilised for organic farming. This is to sensitise people on the need to be sustainable. Kudumbasree and security personnel manning stations too will be commemorated. The KMRL will also be coming out with an innovative coffee-table book titled ‘Kochi Metro 365’. The book will be released by Vice President Venkaiah Naidu. The book will chronicle metro’s influence on commuters in Kochi in last one year. There is also a photo content where in commuters can capture Kochi Metro in their photographs and stand a chance to win prizes. The theme of the contest is ‘Nammude Kochi Metro’ showcases how Kochi Metro has positively influenced the lives of Kochi citizens, and changed the way this city will be remembered forever. The aim is to create a stunning collection of images that showcases the transformative impact of Kochi Metro on the culture of Kochi city and its people. The best images will be featured in the Kochi Metro 365 Coffee-table book to be released to celebrate the first year of Kochi Metro operations. Contestants can choose themes that portray the transformative impact of Kochi Metro from within or outside the Kochi Metro premises. Winners will get cash awards worth Rs. 1.5 Lakhs.